Trudeaumania: Will Canada’s new PM undo damage of Harperism? Like millions of Canadians, I allowed myself to bask in the warm after-glow of our recent federal election - one that saw the triumph of 43 year-old Justin Trudeau and the end of the Harper era. Who could have resisted the image of the telegenic and triumphant young Trudeau, radiating warmth and humanity – qualities sorely lacking in ex-Prime Minister Stephen Harper- as he strode on-stage to make his victory speech. Mere weeks earlier, it looked like Harper’s politics of fear and division – his odd but apparently vote garnering insistence on making the wearing of the niqab an election issue, his government’s establishment of a “hotline” to report “barbaric cultural practices” and his call for stripping dual citizens convicted of terrorist acts of their Canadian citizenship - were going to usher in another Conservative government. But October 19th’s victory speech was all about inclusiveness and diversity. His statements that “Canada was built by people from all corners of the world, all cultures and all faiths” - and “our enviable inclusive society didn’t happen by accident”- recalled the multiculturalist policies of his father Pierre. These were policies that ushered in an era of internationalism and diversity and one that earned Canada a global reputation as a place where human rights were upheld at home and abroad. When a supporter shouted out “We love you Justin” – there was a sense that neo-Trudeaumania aside, Canadians were enamored with an image of themselves that Harper spent the better part of a decade eroding. Justin is loved because he’s selling an image of Canada that’s part of our national mythology. Sadly, it’s become more myth than reality. There is much damage to be undone, and one hopes that young Trudeau is up to the challenge. The stark contrast between Trudeau’s glowing vision for Canada and the current reality were brought home to me in a visceral way the day after the election. After a farewell –Harper Facebook post, listing a number of my internationally published op-eds on the man and his policies - I headed for the Vancouver airport and an assignment in London (where a new law allowing government spies unprecedented snooping powers was just introduced). An encounter with a group of security guards who had “randomly selected” me for a pat down - a group of men surrounded me and one demanded that I “lift up my shirt” so they could presumably check me for explosives - erased any lingering sense of Trudeaumania. After a second “random selection” and a mandatory walk through a full body scanner, I realized that while our very own Canadian neocon may be out of office, his policies are still very much in place. So much of what used to be considered “un-Canadian” – fear, paranoia, encouragement of neighbors to rat each other out for petty “offences”, censorship, casual racism – has become normalized now. It’s hard to remember a time when it was different. 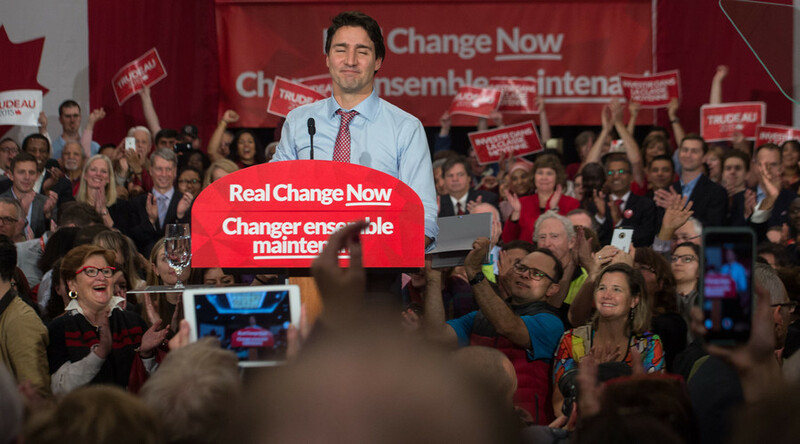 How exactly will Trudeau’s call for “real change” actualize? It’s easy to forget that the Liberals also voted for Bill C-51 – although promised to “amend” it if elected (while the third place NDP party promised to repeal it.) They also voted for the so-called “Zero Tolerance for Barbaric Cultural Practices Act” in June of this year – a bizarre piece of legislation aimed at whipping up xenophobia in places like rural Quebec, where an earlier incarnation called “Reasonable Accommodation” (for religious and cultural differences) had also appealed to racists and Islamophobes. While civil liberties issues loom large on the domestic front, and one hopes that more will be forthcoming on November 4 - when he will name his cabinet - Trudeau has already taken decisive action on international affairs. True to his campaign promises, he informed President Obama that Canada would be pulling out the US lead bombing campaign in Iraq and Syria. Already there is speculation that he will soon reverse Harper’s “best friend of Israel” policies for a more traditionally balanced approach to the situation in Israel/Palestine. While Trudeau has promised immediate action on the refugee crisis (the photo of dead Syrian toddler Aylan Kurdi washed up on a Turkish beach underscored the Conservatives failed refugee policies and cost them votes) he will have to beef up foreign service bureaucracies abroad, after Harper governments cut back key personnel. Can Canadians hope that he will keep some of his other campaign promises? In the heat of the campaign trail last month, Trudeau promised that a Liberal government would invest $380 million into the country's cultural and creative industries, reversing Harper’s policy of antipathy toward federal funding for the arts. This includes $150 million of annual funding for the beleaguered national broadcaster – the CBC/Radio-Canada- who only a month ago, were facing looming sales of many of their buildings. But it was Trudeau’s promise of purposely running a deficit (while both the Conservatives and the NDP promised balanced budgets) to invest in job creating infrastructure building, and restoring cuts to seniors, veterans and other vulnerable groups that many say turned the tide of public opinion in his favor – and is most eagerly awaited in recessionary Canada. For too long, Canadians have been living not only with economic uncertainty, but also with a climate of fear, repression and a certain mean-spiritedness (Harper’s immigration minister Chris Alexander – since voted out of office - even called for cuts to medical assistance for refugees.) Harper was notorious for holding personal vendettas, holding court with an ever shrinking band of confidantes, blocking media and lacking transparency. 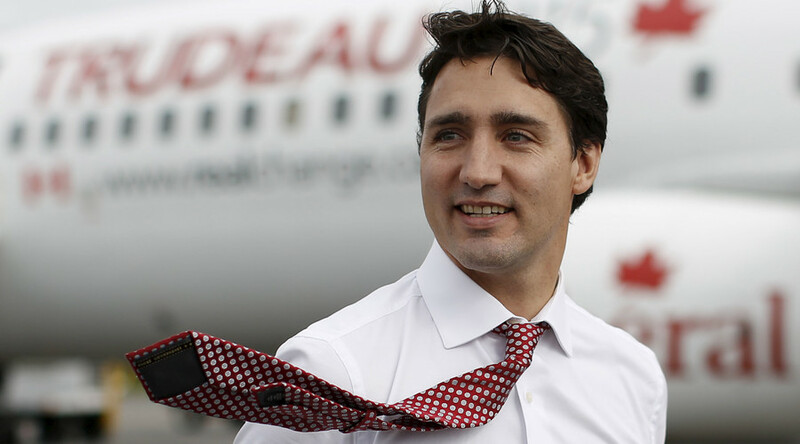 Certainly, Trudeau’s image – that of a handsome young idealist – could not be further from Harper’s. One can only hope that Trudeau’s “sunny ways” – and appeal to the “better angels of our nature” will translate into the promised “real change” that is sorely needed in Canada. Let’s hope that our last leader’s contempt for democracy, diversity and his combative partisanship will really be replaced by Trudeau’s promised new vision of pluralism and hope. Things can only get better.